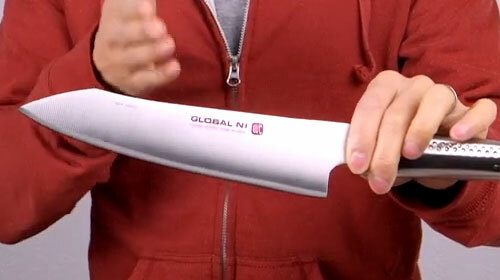 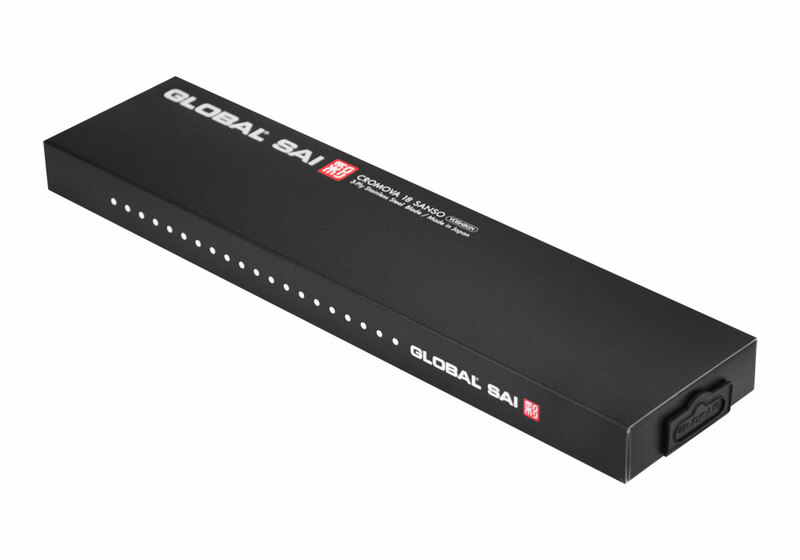 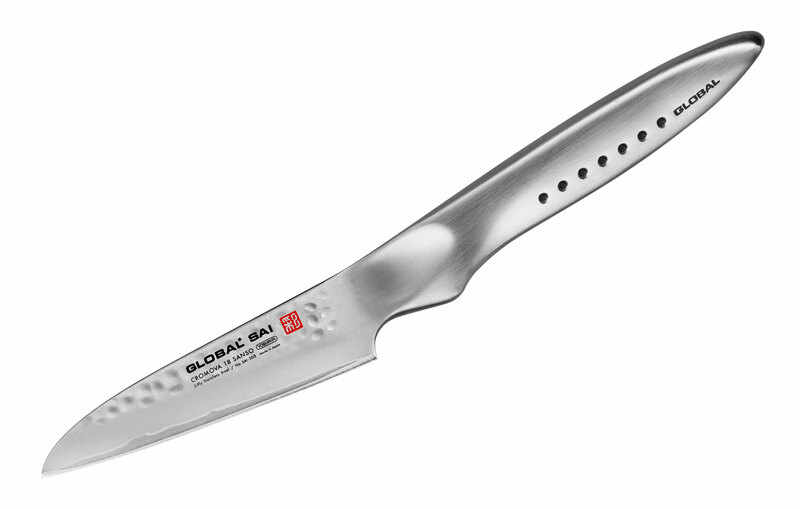 The Global Sai Straight Paring Knife is used for light chopping tasks such as peeling, coring or garnishing. 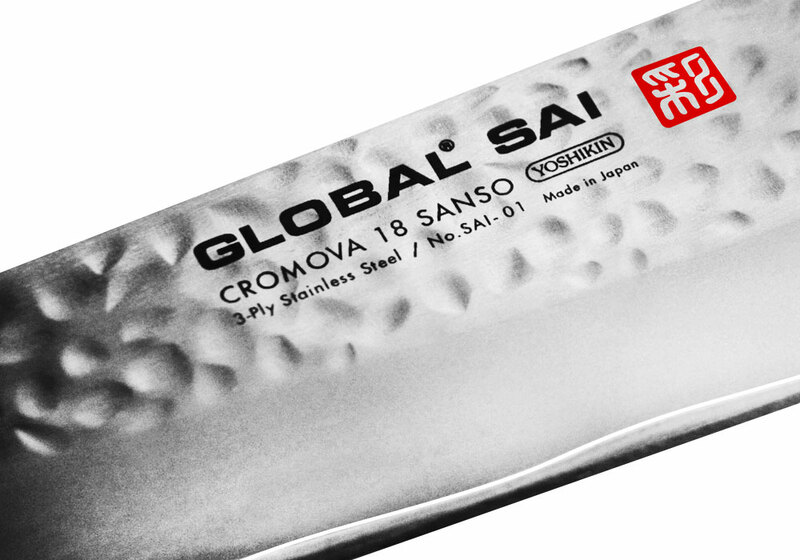 Global Sai Knives follow in the same tradition as Classic Global Knives, made in the same fashion by skilled Japanese craftsmen in Yoshikin's factory in Japan. 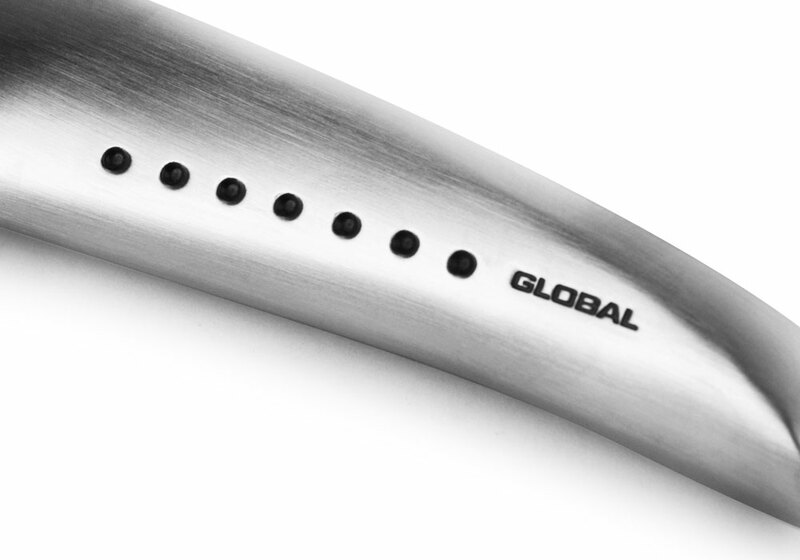 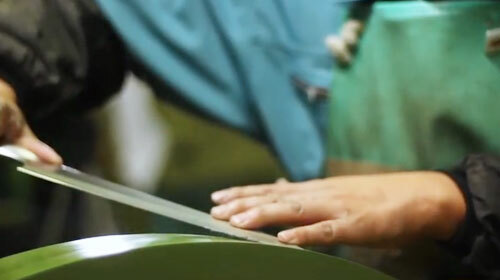 The handle design is entirely new and incorporates an ergonomic thumb-rest to ease the cutting motion. 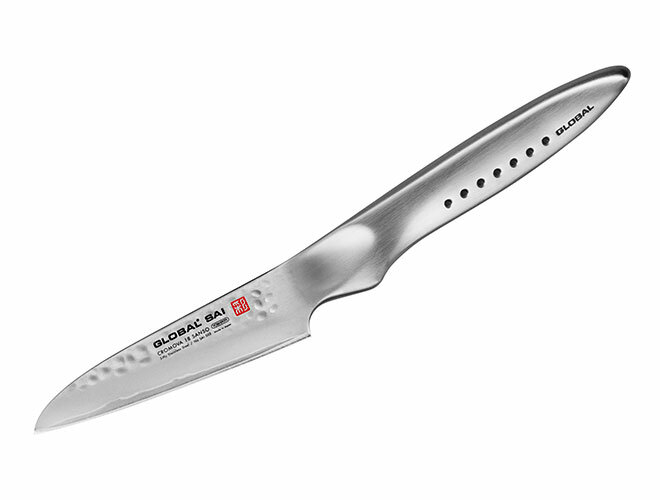 The blades are crafted from special Cromova 18 Sanso material comprising 3 layers of stainless steel, sandwiched between two layers of softer SUS410 stainless steel material. 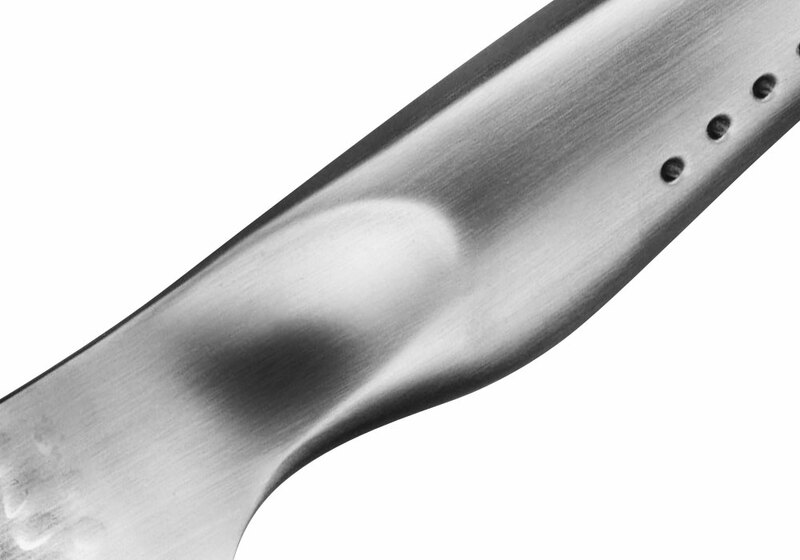 The blades are honed to a fine edge to give superb cutting performance which helps to protect the blade against chipping, rusting and staining. 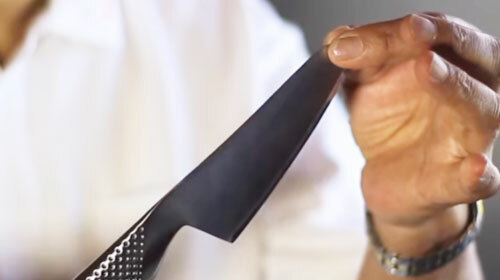 A new hammered finish is applied to the sides of the blade that create air pockets, resulting in a better release of food being cut, giving the blade nonstick properties. 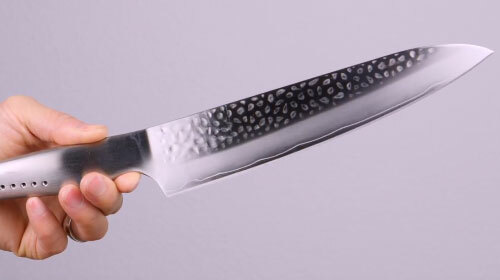 Handcrafted in Japan using artisanal techniques with modern technology in the tradition of the samurai sword.